Help us celebrate 56 years! We adore Iliff preschool! 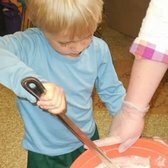 I am a primary teacher in DPS and wanted a special place for my son to love learning through hands-on play and creativity. He is 3.5 and we are considering keeping him there through kinder, too, then DPS thereafter. In addition to it's awesome teachers and loving and welcoming classroom environments, my family really needed a flexible schedule and they were a fit. I teach m-wed and my son goes there those three days, a hard-to-find match! 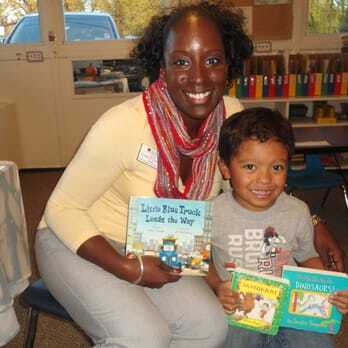 If you are looking for the highest quality preschool, then Iliff is it. My son has attended here for 3 years and we've both loved every day. He looks forward to going and is never bored. 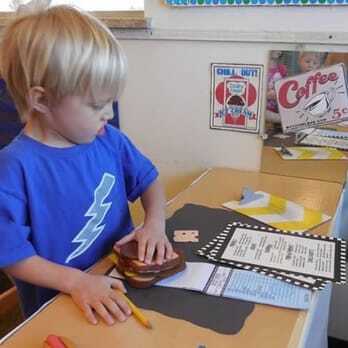 There is a different curriculum theme every week that is age-appropriate and fun. He's learning new things every day, but he thinks he's just playing. I also love that the spend a lot of time outside. There are multiple play yards for each age group, so they have variety. My son's favorite is the tunnel yard. The staff at Iliff is more than any parent can hope for. Several teachers have been there 20+ years which means they know what they're doing and love what they're doing and it shows in the caring way they treat my son. I always know what's going on, whether by email, a conference, a note or a quick conversation with the teachers. Whenever I've had a question or concern, it was addressed immediately and thoroughly. This is the best place and we are so happy here! Our kids love Iliff. When we come to pick them up they are often so busy in the middle of something that they tell us they can't go home yet. My daughter comes home every day with stories and new learning skills, and we've decided to send her to Iliff for kindergarten next year. My son is three and he talks a lot about all of his friends at school. They love music time with Mr. Jon and my daughter takes dance lessons there and is always performing for us! The teachers are all wonderful and care so much about my kids. They have patiently worked through any problems--illness or behavior challenges. I feel so good leaving my kids there. We also have three families on our block with kids there, so it feels like a community in more than one way. Stop looking. Iliff School is as good as it gets. Daycare or preschool is, IMO, one of the most important decisions you can make as a parent. My wife and I are firm believers in early childhood education and its effect on behavior and personality as kids learn and grow. It's from this frame of mind that I wholeheartedly, unreservedly recommend the Iliff School. 1.) Facility: Iliff School is two big houses-turned-schoolrooms stitched together with some labyrinthine passages and decorated top to bottom with stuff the kids have done. Honestly, I was about 90% sold when I walked in. Is it state-of-the-art? Not by a long shot. Is it exactly the kind of warm, friendly place that a kid needs to be in when they're away from home for the first time in their lives? No doubt in my mind. I felt right at home, and so did (does) my daughter. The classrooms are bright and filled with activity stations. The buildings are surrounded by DIY playgrounds that include tunnels, homemade playhouses, and pretty much everything a kid might want to jump around on every day. Each playground is sectioned off so the age of the kids matches the size of the play. It *does* sometimes smell like diapers when you walk past the toddler room, I guess. -1, then. Everything else about the facility: + a zillion. I'll let them tell you about the jet they brought in from stapelton to be a classroom (it's in back, can't miss it). 2.) Faculty: The 1st class my daughter was in was run by two teachers with (I think) 25+ years experience *each* and more than half of that *together*. Needless to say, they had things dialed. They were awesome in every way, and I loved how they could fill me in on what my kid was doing each day. 2nd classroom is run by a teacher with pretty much the same MO. Hands on and helpful in every way. From what I've seen, what the lesser-experienced teachers lack in years they make up for in enthusiasm and hands-on-ittude-iness. Staff: The school is owned and run by people that, most importantly and above all else, make me feel safe. It's the biggest point I'll make: for me to feel safe and secure, knowing my child is in good hands, means more than anything else in the world. These administrators work hard, and care about the kids first and foremost. 3.) 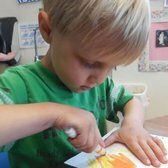 Kiddo stuff: I'll just say that, if there's a kid activity that's fun and involves paint, paper plates, popsicle sticks, and glue, they've done every single combination of that activity that exists at Iliff school. I take home stuff every day. Every. Day. The kids do units, activity centers, reading, geography, science ... it's awesome. My 4 y.o. is quizzing me on state capitals. I drop her off in clean clothes and each day I pick her up, she's head-to-toe covered in dirt, paint, glue, fuzz, and whatever else they happened to be playing with. To me, that's the topper. She's active all day and *loves* going. So, those are my reasons for recommending Iliff School. The one drawback: nap is too long, IMO. What are you going to do? My son has been attending Iliff Preschool's "CR7" class (for 1-2 year-olds) for nearly a year now, and we're extremely happy with both his classroom and the school as a whole. At this age, I didn't expect a lot of real teaching to happen, and have been thrilled to see the teachers have themes and lesson plans for each day and week, involving arts, crafts, language, and other skills. Nearly every week, our son comes home knowing a new word or skill (this week, it was saying "thank you!") that we know he learned at school. They provide a lot of hands-on activities and experiences for the kids, including bringing in a group of African drummers, hatching chicks on site, and weekly music lessons. For older kids, you can choose to pay for spanish language, soccer, and dance enrichment activities.